Where you chose to live matters for access to health care and health care experiences. The Naples-Marco-Immokalee area has a wide array of healthcare options available for individuals of all ages, including two major hospital systems and number of other medium to small, independent healthcare systems and organizations. In addition to an extensive healthcare options available, Collier is also taking part in the Blue Zones Project, a movement lead nationally by the Healthways company and locally here in Collier by Blue Zones Southwest Florida and dozens of businesses and organizations that are committed to making healthier choices easier for everyone in Collier County. NCH became the first hospital in Florida and only the seventh in the nation to be selected as a member of the Mayo Clinic Care Network, following a comprehensive evaluation process. NCH and Mayo Clinic will be working together to bring new access to knowledge and expertise to southwest Florida for patients, physicians and our community. NCH’s medical staff is outstanding and its quality has been recognized over the last decade with more than 100 awards. It’s the only system in the region to be recognized—twice—as one of the top hospitals in the nation by U. S. News and World Report. Its considered among the top 10% in the nation for cardiac surgery by the Society of Thoracic Surgeons; one of 215 hospitals in the nation and one of only five in Florida as being “Most Wired” in information technology; and the recipient of many other awards recognizing quality and safety. 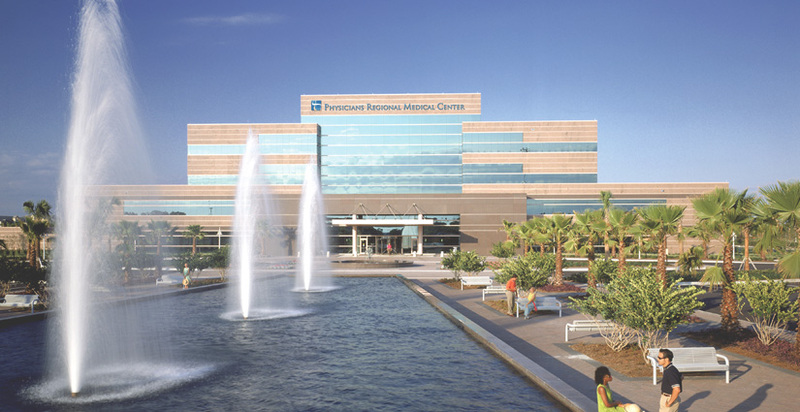 Physicians Regional Healthcare System (PRHS) is comprised two premier hospitals, and an affiliated multispecialty physician group. With more than 300 physicians on staff, nearly any specialty needed is available within PRHS. Featuring six locations from Bonita Springs to Marco Island, Physicians Regional Healthcare System has been named a 2014 “Top Performing Hospital” by The Joint Commission, for Heart Attack, Heart Failure, Pneumonia, Surgical Care, and Immunization. Each hospital campus is located conveniently off Interstate 75. The hospitals feature private, acute care hospital rooms with modern amenities to provide comfort to you and your family members. Both campuses feature surgery centers, full-service diagnostic departments and operate 24/7 Emergency Departments staffed by board certified physicians. Physicians Regional - Pine Ridge holds a fully accredited Chest Pain Center with Primary PCI from the Society of Cardiovascular Patient Care. Pine Ridge has also received the American Heart Association/American Stroke Association’s Get With The Guidelines®-Stroke Gold Plus 2015 Quality Achievement Award with Target: StrokeSM Honor Roll. 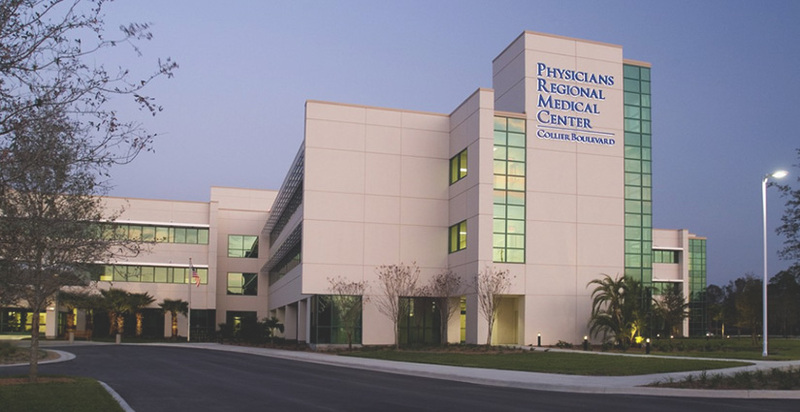 Physicians Regional-Collier Boulevard is the area’s only MBSAQIP Accredited Bariatric Center, and offers Comprehensive Breast Health Services; the facility features a sleep-disorder center, hospice rooms and has been designated by Florida Agency for Health Care Administration (AHCA) as a Primary Stroke Center. Founded in 1977 to serve migrant farmworkers and their families in Immokalee, the Healthcare Network of Southwest Florida (HCN) now provides care to over 41,000 residents of Collier County through 20 practices. HCN provides primary care including internal medicine, family practice, obstetrics and gynecology, pediatrics, dental care, and behavioral health for both adults and children. HCN provides primary care services for 60% of the children in Collier County. HCN physicians will deliver nearly half of the babies born in Collier County in the coming year. HCN is actively pursuing usage of real time analytics through a health information system with the goal of further reducing overhead costs and maximizing productivity. Without access to healthcare, the medically underserved postpone necessary care and forego preventive care - such as childhood immunizations, well-baby visits, mammograms and routine check-ups. With no regular doctor and limited access to prescription medications, these families are more likely to use emergency rooms for primary care and be hospitalized for preventable health conditions. Funding for services comes from patient fees and reimbursements, federal grants and generous philanthropic support. By providing these families with a “patient centered medical home,” doctors are able to follow their patients, ensure necessary treatment and provide preventative education that avoids costly emergency room visits and reduces long-term health care costs. Established in 1968, the mission of David Lawrence Center is committed to restoring and rebuilding lives. 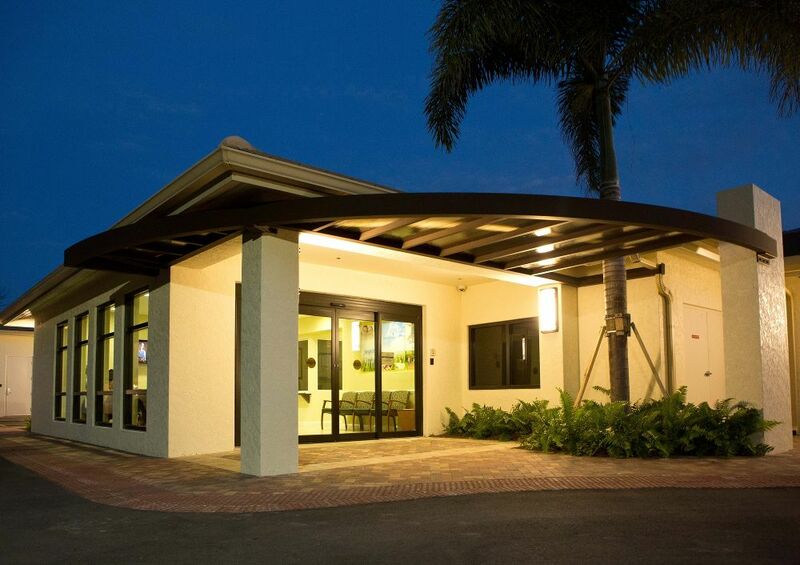 The David Lawrence Center is a symbol of hope for children, adolescents, adults, and the elderly who struggle with mental health and substance abuse problems in Southwest Florida. Through comprehensive, personalized treatment programs developed by caring medical professionals, anyone suffering from mental illness or substance abuse problems can find help and hope at the David Lawrence Center. The Center has a staff of 300 to administer its 50 programs and services across the Naples-Marco-Immokalee area. 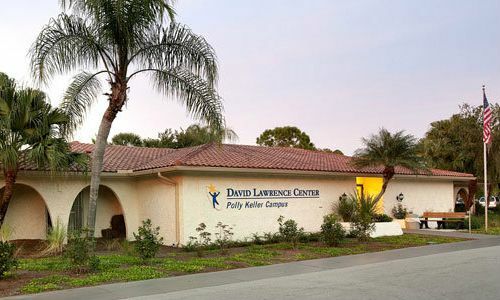 David Lawrence Center is accredited by the Joint Commission on Accreditation of Healthcare Organizations and is licensed by the Florida Department of Children and Families and the Agency for Healthcare Administration. To learn about "Benefits and Wellness" options offered to CCPS Employees, click the link below!